1Password 4 The latest version of Safari in OS X Mavericks now has iCloud Keychain for password management, but we’re still big fans of AgileBits’ 1Password for iOS ($18) and Mac ($50). The Mac version makes it easy to access or create passwords, either through the app itself, through the Mac menu bar, or in a browser with the 1Password extension. 1Password can also sense when you’ve created login credentials and will ask you if you want to store them in the app. Sync your data to Dropbox, iCloud (Mac App Store version only), or use the local Wi-Fi sync, and you’ll have access to the login information on your iOS device. All your data is encrypted, so you don’t have to worry about prying eyes. Other password managers may have lower prices, but 1Password offers the best combination of convenience and security that we’ve seen. Badland The side-scrolling platform video game has seen a revival recently thanks to the iPad and iPhone, and Frogmind’s $4 Badland is a prime example of how a tried-and-true formula can enjoy new life with an infusion of creativity. While it’s easy to control your avatar, you’ll run into objects to dodge, clones you have to lead, traps you must avoid, and more. Powerups can help you get past difficult situations, but if you do happen to fail, you simply restart at a checkpoint that’s usually not far away. Badland is so well constructed, so well put together, that you’ll find yourself having a hard time putting the game down. Bartender Some Mac apps—the iWork suite, say—do a lot. Then there are little apps that do one thing. But if that one thing is worth doing, elegantly and efficiently, that app can be Eddy-worthy. That’s why we’re recognizing Surtees Studios’ $15 Bartender. It organizes the application icons that clutter your menu bar. Actually, Bartender replaces the menu-bar icons you choose with just one icon: its own. Click that icon, and you get a submenu bar filled with all the icons you’ve chosen to hide. So you get two menu bars—a main one and a secondary one. You can stuff all those menu-bar items you don’t need regular access to in Bartender’s sub-bar, out of sight and out of the way. Bartender is simple to use and does its job without muss or fuss. All you see are fewer menu-bar icons. That makes Bartender one of our favorite apps of the year. Capo 3 SuperMegaUltraGroovy’s $30 app, Capo 3, is a superuseful tool for musicians wanting to learn and play along with songs residing in their iTunes library. Capo lets you slow down (or speed up) the tempo of a song without changing the pitch of the tune to sound as if either Alvin the Chipmunk or the Grim Reaper were on lead vocals. But pitch and tempo manipulation are just some of Capo’s handy features. The latest version of Capo for Mac adds clever automatic chord recognition, allowing you to start strumming almost instantly. Capo’s automatic chord detection isn’t perfect, but it serves as a great starting point. If you find a song that hasn’t been recognized to your satisfaction, it’s easy enough to fix. We discovered that slowing the song down to 3/4 speed and tapping 1-K every time there was a chord change would greatly improve the accuracy of Capo’s chord detection. The chords that Capo recognizes and writes out are not limited to guitar. Capo can write out the chords for ukulele, mandolin, and bass guitar, as well as multiple alternate guitar tunings. Capo can even write out the chords based on whether the musician is using its namesake, a capo, on the guitar neck. Pretty amazing. Capo makes learning new songs quick and fun, and its ability to write out the chord fingerings of multiple instruments lets you easily begin playing along to the songs in your iTunes library. Drafts 3 You probably write in different apps. But sometimes you may begin before you’ve decided where your gem will end up. Or maybe you start a text message that’s better suited for email. That’s where Agile Tortoise’s Drafts ($3 for iPhone, $4 for iPad) comes in. The app is a catch-all bucket for typing messages, jotting down ideas, storing templates, and doing things with that text when it’s ready. Launch Drafts, and you can start typing right away; the on-screen keyboard offers special keys for formatting text and links and using common symbols. Your drafts even sync across your iOS devices. Once you’ve finished your message or document, then you process it. You can send it to another app on your iOS device; email it; save it to Dropbox or Evernote; post it to Twitter, Facebook, or other social media; and much more. If you work with text regularly, Drafts belongs on your iOS device. Editorial As an iOS text editor, omz:software’s $5 Editorial stands out. It sports a customizable interface, TextExpander Touch support, saved snippets, auto- correction, a customizable extended keyboard, Markdown and HTML previews, an integrated Web browser, and powerful search. It also includes a feature for moving the cursor: Just swipe your finger across the keyboard. And it integrates with Dropbox to provide an impressive versioning system to track changes and revert as needed. But Editorial also gives you the tools to create the perfect editor for your needs. With a built-in Python interpreter and support for the increasingly popular callback-URL system, Editorial lets you handle text in myriad ways using what the app calls workflows, which you can build using Editorial’s easy-to-use Action Library. These workflows are essentially tiny programs that let you process text right within your document by simply tapping a button. Workflows can even pass your text to, and receive text from, other apps. Apple’s iOS restrictions have long hampered power users—and productivity-focused writers—who needed both more-powerful apps and better inter-app communication. Editorial is the first app we’ve seen that truly breaks down those barriers. Fantastical 2 for iPhone The built-in Calendar app in iOS still can’t compete with Flexibits $5 Fantastical for ease of use. The simple interface shows you a traditional five-day or month calendar at the top, with a scrolling list of all your upcoming events below. It’s easy to search all your calendars and quickly jump to any date to see what you’ve got on tap. But the marquee feature is its natural-language event-creation system. When creating a new event, you just type (or speak, using iOS’s dictation feature) a description of the event, such as staff meeting every other Tuesday at 1pm in room 500—Fantastical converts your description on the fly. Fantastical 2 also widens its calendar-app lead by adding maps to event locations, improved invitation features, notifications, event sharing, and other new or improved features. Frax Fractals describe the mathematical structure of natural patterns found in objects like snowflakes, leaves, clouds, and even blood vessels. Self-replicating and scalable, each fractal iteration is a copy of itself, so as you zoom in or out, the pattern looks similar. 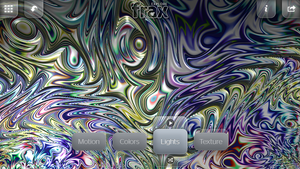 Iter9’s Frax for iOS ($2 for iPhone, $4 for iPad) replicates the fractal experience as an extremely immersive and creative app. It’s a marvel of mathematical wizardry, but you’d never know that to look at it. Frax is gorgeous, fun, and endlessly intriguing. It uses the gyroscope and accelerometer of your mobile device to let you create and control fractal designs. It is the first 2D fractal app to use tilt-to-steer movement and a range of touch-based gestures: Alter lighting with a swipe, augment textures with a twist, and zoom with a series of taps. 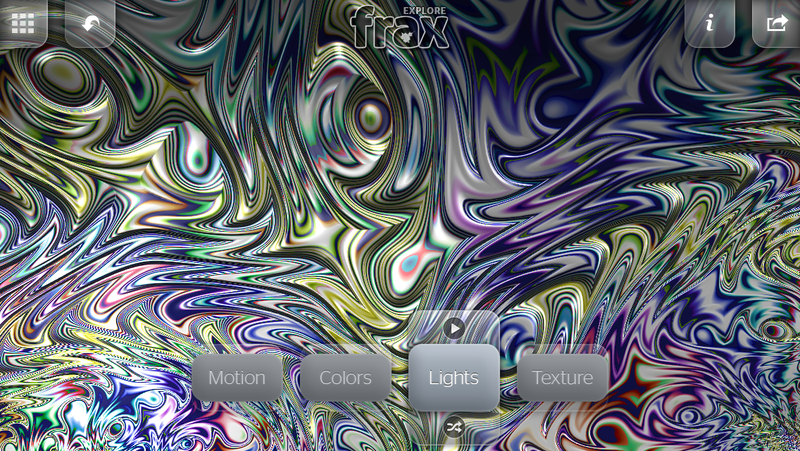 Frax is ever dynamic and constantly animated in rendering and refining the art and science of fractal design. 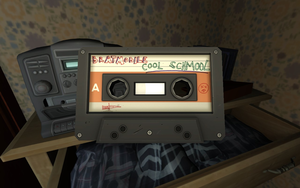 Gone Home A game’s graphics may be dazzling, but how it uses its graphics, story, and gameplay to convey the tone it wants to set is more important. That’s how The Fullbright Company’s $20 Gone Home succeeds. As Katie Greenbriar, you try to figure out why your home is seemingly abandoned. The audio and graphics create an atmosphere that adds to the tension. 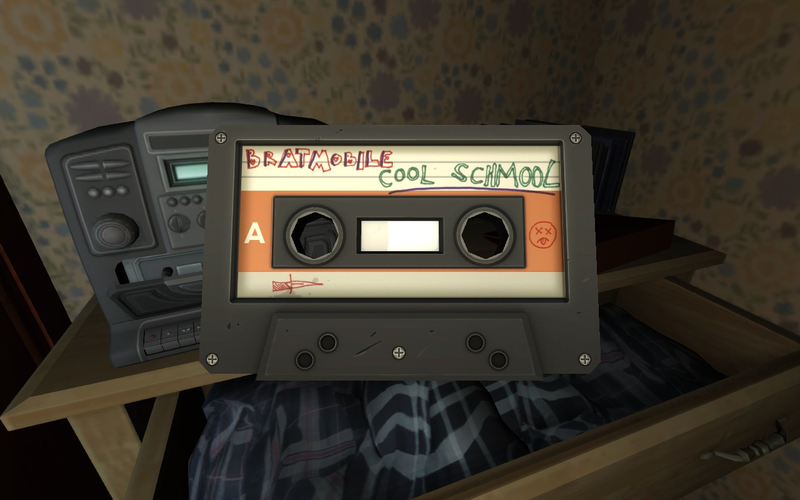 You can finish Gone Home in a few hours, but it’ll be time well spent. Highland Writing is hard. Writing a script or screenplay can be harder. That’s why we like Highland, Quote-Unquote Apps’ minimalistic $30 screenwriting tool. Highland offers writers a clean, unadorned space to work on their screenplay. All Highland files are saved as plain text, allowing you to open them in just about any program on your Mac, PC, or iOS device. You can even import your PDFs and Final Draft files into the app for easy editing, and then export them back into their original formats for further work. Certainly for those in the film industry, this app is more than worth its price. IFTTT The iPhone is an invaluable tool for many of us, but when you can’t quite bend it to your will, IFTTT (free) may be just what you need. This app and the Web service it has grown out of are as close as you’ll likely get to AppleScript on your iOS device. The idea behind IFTTT (“If This Then That”) is simple: If something happens, do something else. If you want the pictures you take with your iPhone uploaded automatically to Flickr, IFTTT can oblige. Want to have Gmail messages labeled as “To Do” added to iOS’s Reminders app? No problem. IFTTT supports dozens of Web services, in addition to iOS’s own Reminders, Photos, and Contacts. Creating “recipes” is a snap: Pick a trigger and an action, and IFTTT does the heavy lifting—the app has a surprising amount of power, with more in the Web service. Or browse IFTTT’s directory of user-submitted recipes. iPhoto 2.0 for iOS With iOS 7 as the underlying element of Apple’s iPhoto 2.0 for the iPhone and iPad, even some old features feel fresh, and that’s what makes the updated version of iPhoto for iOS a joy to use. Version 2 also has a number of new features. The most obvious update comes from the new OS, stripping away old-fashioned skeuomorphic visual cues, those recognizable objects like photo albums or leather grain. iPhoto 2.0 for iOS also works faster and smarter than last year’s debut version, as advanced engineering shifts the burden of image editing from the device’s CPU to the GPU for smoother performance. The process of editing images has not changed much. Real updates come in the form of new projects and sharing capabilities such as print ordering and book creation, shared video streams, enhanced beaming, AirDrop functionality, and incorporating Apple Maps for geotagging. Kaleidoscope 2 Black Pixel’s $70 file-comparison utility for the Mac may not seem a big deal to everyday users, but Kaleidoscope 2 can be a vital part of a developer’s workflow. The app offers three different modes for comparing files: Blocks, where differences are color-coded; Fluid, which also uses colors but connects each color block with lines to help you see how a file has developed; and Unity, where you can see changes between files in a single stream. Kaleidoscope 2 also lets you compare images to see differences when creating a user interface. Developers will appreciate Kaleidoscope’s ability to integrate with other developer tools. Keyboard Maestro 6 A tool for power users, Stairways Software’s $36 Keyboard Maestro 6 is a macro program that lets you piece together actions and fire them off, one after another, with a variety of triggers. New triggers include jacking in a USB device—a scanner or a USB thumb drive, say—and connecting to a particular wireless network. We especially like the ability to trigger Safari and Chrome actions. If you need to configure the same Web forms repeatedly, you’ll appreciate having that work automated. Launch Center Pro Many things we do on our iPhones we do often and repeatedly. Contrast’s $5 Launch Center Pro takes the hassle out of these tasks by letting you create actions—discrete tasks based on an app or system service. A task can be as simple as a button that launches an app, but many apps allow Launch Center Pro to control them, and perform specific tasks within them, using specially formatted URLs. Via those URLs—or Launch Center Pro’s Action Composer—you can assemble actions that, with a button tap, let you perform common tasks such as creating a preaddressed email message (or emailing a group), or creating a reminder. Actions can also be more complex. For example, Launch Center Pro can—with one tap—upload your most recent photo to Dropbox, retrieve the special Dropbox URL for sharing that photo, and copy that URL to the clipboard. Logic Pro X With Logic Pro X ($200), Apple makes a professional digital audio workstation available at a starving musician’s price. And the improvements in version X are significant. 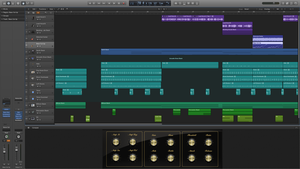 Apple has made Logic easier to use through a reorganized interface. The new Drummer track makes drum tracks sound man-made. Bass players get their due with amps and effects previously reserved for guitar players. Keyboard players may benefit most thanks to a solid collection of traditional keyboard instruments—the Wurlitzer and Fender Rhodes electric pianos, clavinet, Hammond B3 organ, and fat analog synthesizer models. The Smart Controls let you adjust instrument parameters and effects with virtual knobs and sliders. In addition, the free Logic Remote iPad app lets you control many features from across the studio. Loom Apple’s iCloud service provides many great perks, such as Photo Stream. But Photo Stream has limitations—it offers no real way to organize images, for instance. Loom, though, lets you store up to 250GB of photos and videos in the cloud, sync and view them with your Mac and iOS devices, and organize them into folders. The service offers 5GB of free space to all users, much like Dropbox, with 50GB and 250GB plans costing $4 and $10 a month, respectively. You can use that space to store JPGs, PNGs, RAW files, and video; Loom lets you upload from any of your iOS devices or your Mac, allowing you to add content from almost anywhere. After uploading that material, you can organize it into folders and subfolders and view it on any of your devices at an appropriate scale—for example, if you’re viewing an image on a Retina iPhone, the resolution will differ from viewing it on a Retina iPad, saving you costly Internet bandwidth. Sharing images or a full album is also fairly easy. It’s a great service. nvALT Brett Terpstra’s free text editor stands out because it makes creating and finding plain-text notes as simple as possible. When you open it up, you see two fields: a unified box up top where you can name new notes and search for old ones, and a text-entry field below that where you do the text editing you came for. That design decision—to make creating new notes and finding old ones as simple as possible—makes nvALT unique. nvALT lets you capture text swiftly and easily. Its context-menu Open With option lets you quickly send notes to other text editors. Because of that, and because it can sync via Simplenote or Dropbox, this app can become the center of powerful plain-text workflows. It’s unlike anything else we’ve seen. Prizmo 2 Creaceed’s $50 application takes images previously captured on your iPhone, point-and-shoot camera, or DSLR, and turns the scans into editable text using its built-in OCR engine. If you attach an iPhone or iPad to your Mac while Prizmo is on and active, photos you take with your iOS device will show up automatically in Prizmo’s application window. The app also works with scanners lacking OCR capabilities. Prizmo can capture text from images in webpages and on the desktop, too. 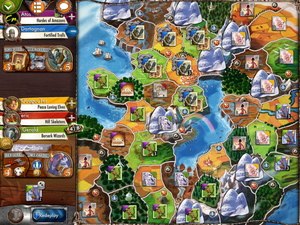 Small World 2 Combine Risk with the full encyclopedia of fantasy tropes, and you get Days of Wonder’s $10 territory-conquest game, Small World 2. You and your opponents take on the parts of elves, orcs, wizards, trolls, and more, trying to stake your claim to hills, mountains, swamps, forests, and so on—but given the size of the eponymous realm, you’ll soon discover that it’s not big enough for all of you. In its latest significant update, the game has at last brought asynchronous online play with up to four friends, in addition to local play over the network, pass-and-play, and support for head-to-head for two players on the same iPad. If you need to hone your skills, you can always take on up to four AI players. 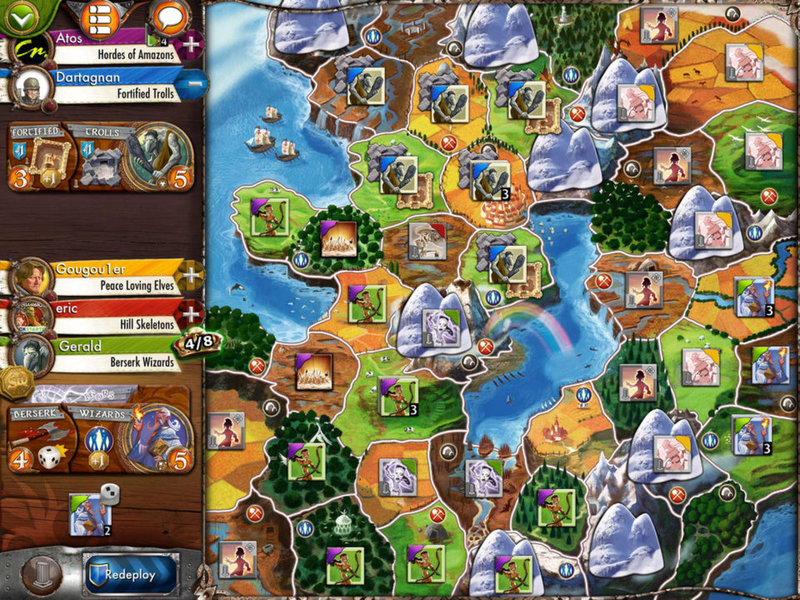 Small World 2 is one of the most compelling games for the iPad. Spaceteam In Henry Smith’s Spaceteam, you and up to three friends are crewmembers on a spaceship trying to escape a rapidly exploding star. Only by working together will you keep the ship from being destroyed. Each of you has your own control panel. Commands are printed on the screen, which you must relay to your teammates; the instructions might be mundane (“Empty the trash!”) or more complicated (“Set the volatile flushclamp to 6!”). Fail to hit the right control on time—or hit the wrong one—and your ship gets that much closer to its impending doom. And that’s before you factor in broken panels, asteroids, wormholes, incomprehensible labeling, and more. The higher a level you reach, the faster your reflexes must be. Spaceteam is free; you just need one to three friends with similarly equipped iPhones (or Android phones). TextWrangler 4.5 We use many text editing and word processing tools at Macworld, but none as indispensable as Bare Bones Software’s TextWrangler. Version 4.5 adds a Go menu that gives you the history of a document’s creation, the ability to see changes from a previous version and integrate them into your current document, and much more. And it’s free.